When it comes to the modification or termination of alimony as a result of cohabitation, financial assistance received from the new cohabiter is not the only factor taken into consideration. The New Jersey Appellate Court recently upheld its ruling that indirect economic benefits may be considered as well. In Reese v. Weis, Defendant Rebecca Weis was receiving $100k annually in alimony from her ex-husband Ronald Reese since their divorce in 1996. In 1998 she began cohabiting with William Stein and his two children. 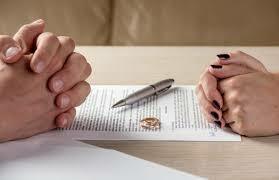 Ronald filed a motion in 2008 to terminate his obligation to pay alimony citing the defendant’s cohabitation. 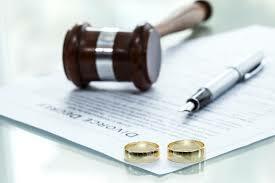 The trial judge determined that defendant’s 10-year cohabitation afforded her significant benefit such as that alimony was no longer warranted. Defendant cross-appealed the ruling, claiming that her monthly contribution to a joint account she held with Stein, in an amount equal to what she received as support from Plaintiff, coupled with proof of annual expenses exceeding the provided support proved she paid her way without Stein’s economic assistance. She also argued that the luxuries and gifts that accompanied her new lifestyle with William should not be considered an economic benefit to terminate her alimony. The Court however upheld its ruling, rejecting her claim that her enhanced lifestyle should not be a part of the alimony equation. The panel stated to the contrary, that economic benefits, such as when the cohabitant pays for housing costs, as well as more subtle economic benefits, may legitimately be taken into consideration.